Acting deputy vice chancellor of a private university in Bangladesh, arrested for sheltering Islamists who carried out the country’s worst terror attack at a cafe in Dhaka, has been suspended. Professor M Gias Uddin Ahsan of North South University has been suspended following his arrest on charges of sheltering militants before the terror attack on a Gulshan café earlier this month. Vice chancellor of the private university Prof Atiqul Islam announced the decision on Monday. “The honourable vice chancellor said he is suspended due to his arrest under Section 54,” Belal Ahmed, a university spokesperson, told BD News. Acting pro-VC Professor Ahsan, his nephew Alam Chowdhury, and Mahbubur Rahman Tuhin, the manager of a house in Bashundhara Residential Area, were arrested on Saturday. Police said five terrorists who carried out the attack on Gulshan cafe on July 1 had taken shelter in the flat owned by Ahsan. The other associates of the attackers fled the flat after the siege. Several cartons loaded with sand and the clothing they left behind were seized from the flat. One of the terrorists killed by police was a student of NSU. His family said he had been missing for months. 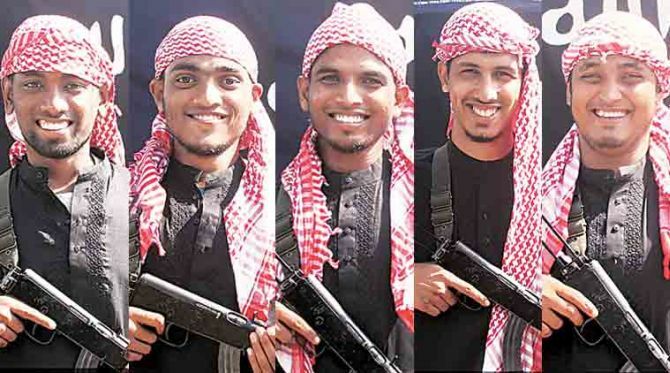 Ahsan’s arrest came hours after a University Grants Commission of Bangladesh team visited the NSU campus as part of a separate investigation into the links of its officials and students with terrorism.